We manufacture ceiling fans that are a perfect blend of power & performance, comfort & style and safety & durability. Our fans are high speed fans and they have three coat metallic paint for extended durability. Apart from world-class design & performance, our fans are highly energy efficient. 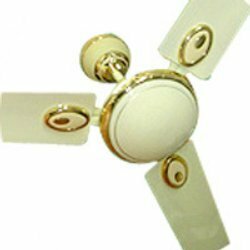 We offer different models of ceiling fans in various decorative and economy models to suit the requirements of discerning buyers. 16mm, 14 pole motor for longer life & high air delivery. CL top for better motor balancing.